We recently created a Kentico website that uses a custom module to display an assessment to an end user. A custom page type was then created that allows an administrative user to select which assessment to display on a page. On the page this is all done in Kentico using the Form tab to select the assessment. Nothing specific needs to be added using the Page tab. Because of this, we wanted to simplify the administrative user's experience by hiding both the Page and Design tabs when they edit a page. This assumes you have already created a role that you want to hide the Page and Design tabs for. 2. Make sure the Enable UI Personalization checkbox is checked for the site (or globally). 1. Go to Configuration > Roles and edit the role you want to hide the tabs for. 2. 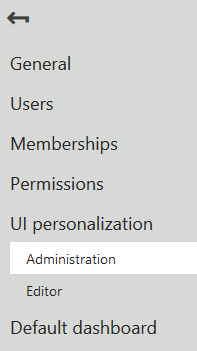 Go to UI Personalization > Administration on the left menu. 3. 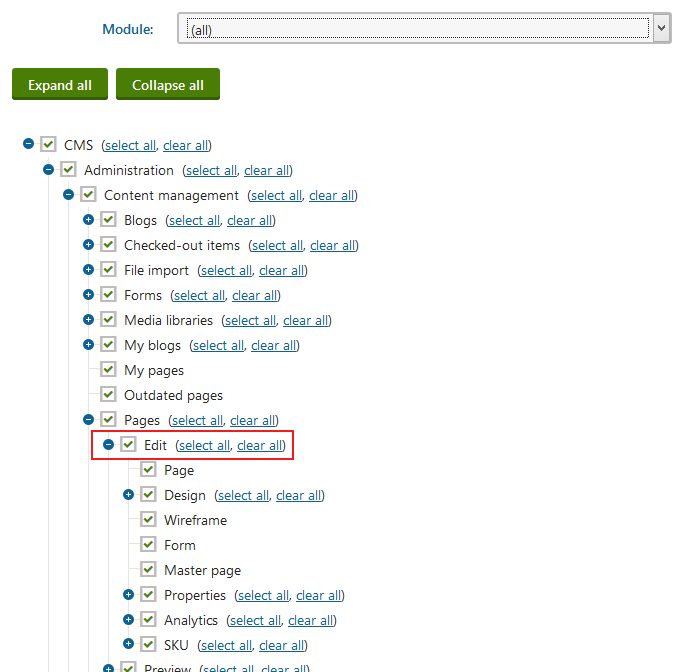 With (all) selected in the list of modules, navigate to CMS > Administration > Content management > Pages > Edit. 4. 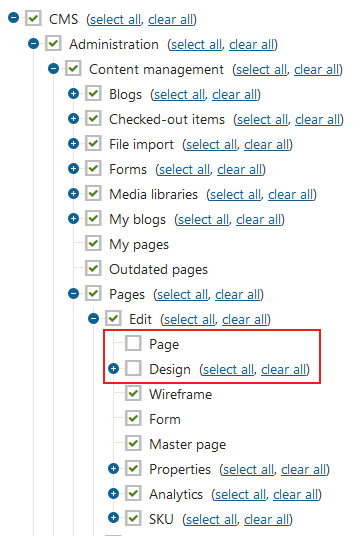 Uncheck the Page and Design checkboxes (Note: If you selected the Content module instead of all modules in the previous step, you will not be able to uncheck the Design checkbox in the following step). 5. That is it! Now when a user in the role you removed the Page and Design tabs for logs in, those tabs will be hidden.